Books for Collier Kids (formerly First Book-Collier County) is dedicated to putting a steady stream of new books into the hands of children living in poverty in our community–books for them to read and own. Books in the home are vital to a child’s ability to read and learn..
Books for Collier Kids (formerly First Book-Collier County), in its second decade, provides brand-new, top-quality books throughout the school year. We currently distribute 100,000 books annually to approximately 8,000 disadvantaged Collier County children in pre-K, kindergarten, and first- and second-grade . . . books for them to read, take home and share with their families. 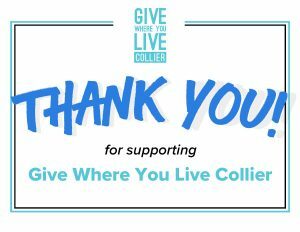 We were delighted to be a participant in the Community Foundation of Collier County’s 2019 Give Where you Live campaign. This year, nearly $5.5 million was raised in 24 short hours, with $27,485 (35 donations) going to Books for Collier Kids! Your gifts make a significant difference in the lives of the children from low-income families whom we serve in Collier County. Thank you so much for your support!! 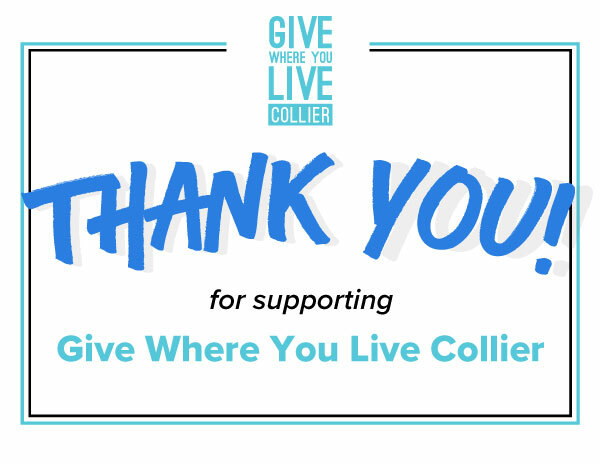 Books for Collier Kids thanks you for your generosity in supporting our annual Stay at Home and Read event!